Over the past year, we have added a lot of addons that add different vehicles. 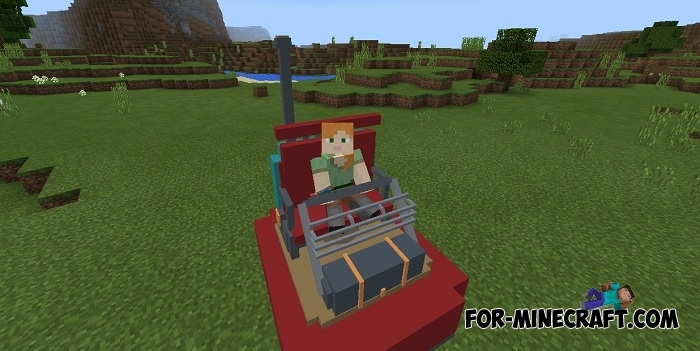 Expensive sports cars, jeeps, bikes and even air balloons are available for download and support the latest version of Minecraft Pocket Edition. 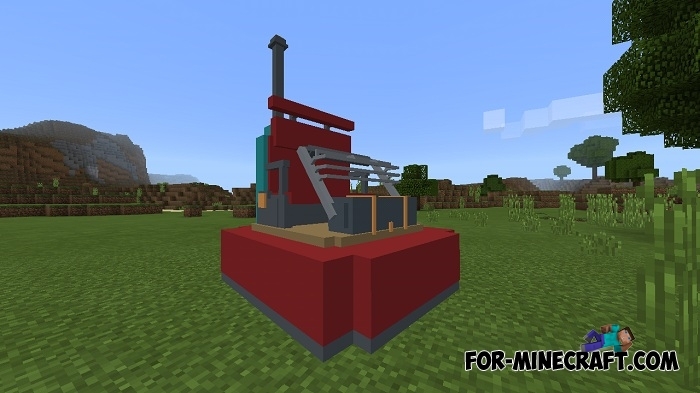 Hovercraft is something new, it is used for driving on land and water but this addon works only on land at the moment. How to get the Hovercraft? The easiest way is to spawn an ocelot, pick an arrow and go in any direction. The speed of this vehicle is several times higher than normal, so the use of an additional car will be much better than a simple run. The hovercraft is designed for one player, but addons can always be used on servers, which makes it possible to organize races. Strangely enough, race tracks or small labyrinths are best for this.